Tianma plans to begin shipping commercial OLED products for smartphones in the next quarter and are demonstrating these and other panels at DisplayWeek. While Tianma has had OLED facilities running in the past, a Gen 4.5 pilot line, and a Gen 5.5 LTPS lines with both LCDs and OLEDs, they have produced relatively small volumes, with a< 1% share of the OLED market. 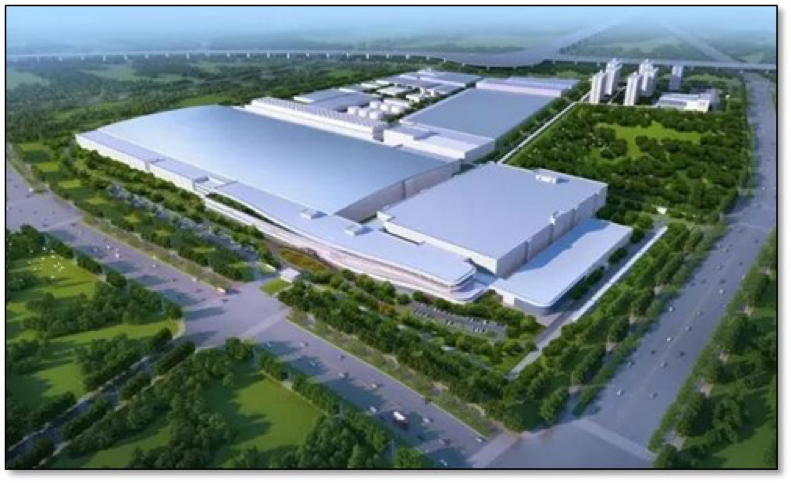 Tianma officially opened its Gen 6 OLED fab in Wuhan late last year, but has not yet produced commercial quantities of rigid or flexible small panel OLEDs. Tianma could begin commercial (evaluation displays and modules) to customers starting in June, and could have real commercial customers (likely a Chinese brand) before the end of the year. 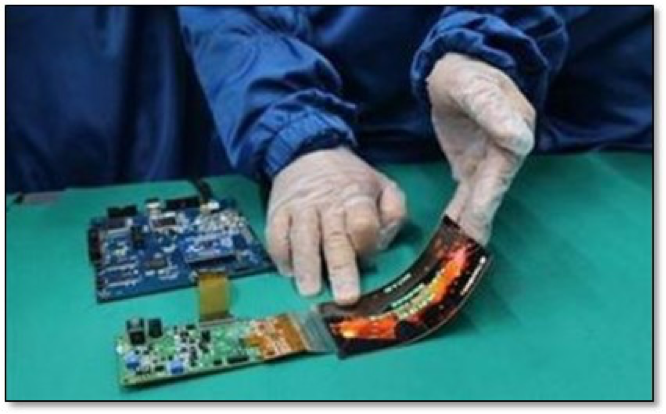 Given the timing of the evaluations and the production ramp of Tianma based flexible OLED displays could show up into a branded smartphone product by Mobile World Congress in February 2019. However, it will likely be some time before Tianma will be fully utilizing its new flexible OLED capacity and as the fab is set up to also produce rigid small panel OLED, which could help to move utilization forward more quickly, but given the slow uptake that has faced other flexible OLED producers. Tianma is one of the least known small panel LCD producers, but holds a~ 20% share of the small panel LCD display market and a significantly higher share in China. Given the substantial LCD customer base that Tianma has developed over the years, they have a good chance of adding one of their existing customers to their flexible OLED roster. 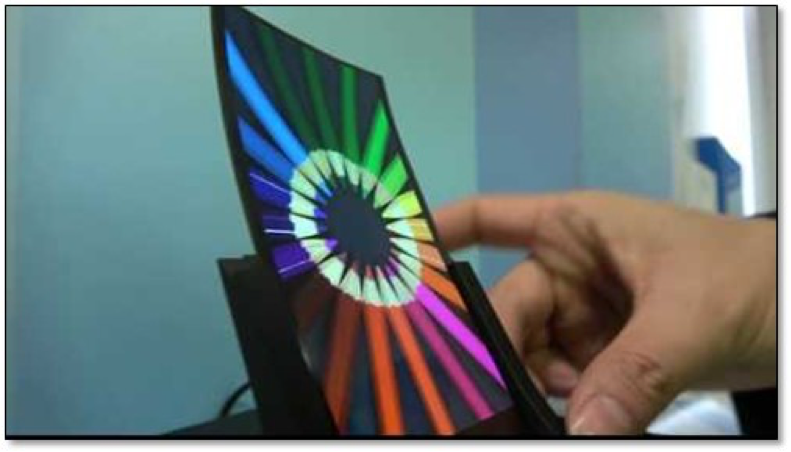 As with other flexible OLED displays the actual use of such displays is limited to conformed edges or similar configurations, and so the idea of a flexible smartphone is more dependent on the ability of other components to flex in the same manner as the display. 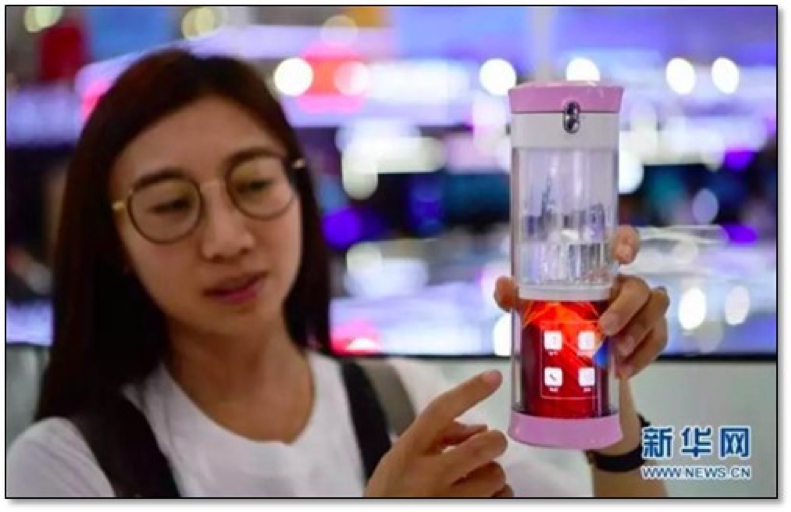 Tianma has shown a number of small panel flexible display demos but are unable to incorporate such displays in what would really be called a bendable smartphone that would have a reasonable lifetime, as the additional component issues have yet to be worked out by smartphone manufacturers. That said, Tianma seems to want to skip through the ‘conformed’ stage and move directly to bendable phones, and while this is a noble idea, it likely will be secondary to producing flexible substrate based displays that can be used in current smartphone models when those interested in producing recognizable profits from the company’s OLED investments. If Tianma is able to secure a few OLED customers, either rigid or flexible, that can produce profits in 2019 and beyond, they will be ahead of most other smaller OLED producers. 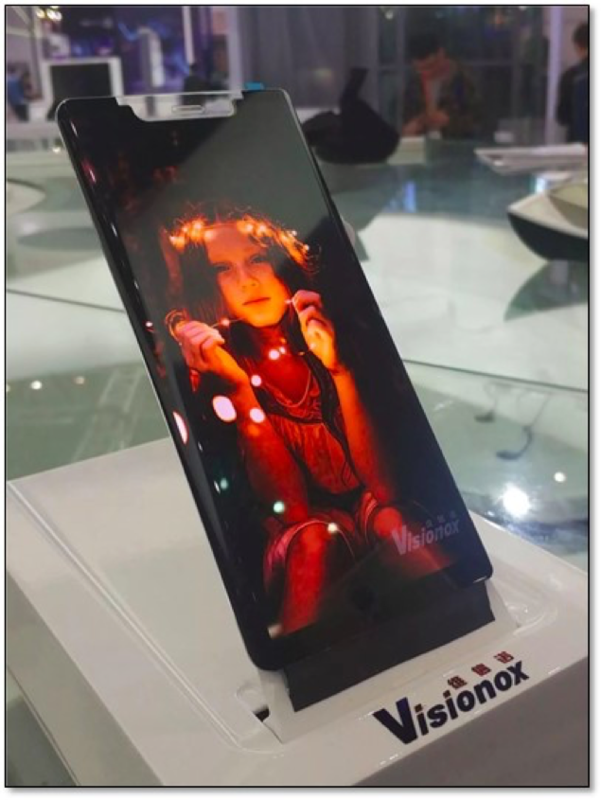 Visionox, which has been involved with OLED displays for over 15 years was a spin-off of Tsinghua University, and the company has been actively pursuing flexible OLED displays for a number of years, showing a variety of demos at various shows and participating in the formation of OLED manufacturing standards. While the company’s manufacturing resources are relatively small compared to Samsung Display, LG Display and BOE, they are developing flexible OLED technology. Visionox currently runs a Gen 5.5 flexible OLED fab in Kunshan, and is constructing a Gen 6 two-phase flexible OLED fab in Hebei, which, when complete, would increase their raw capacity from 9,800m2to 93,000m2. As few predicted we would be asking questions to a speaker in our living rooms or getting an e-mail from your refrigerator about dinner plans, we can’t say much about a flexible OLED drinking cup, and we commend Visionox and others for pushing the envelope of display technology, but for the time being, we will stick to our somewhat more traditional drinking glasses seen below.